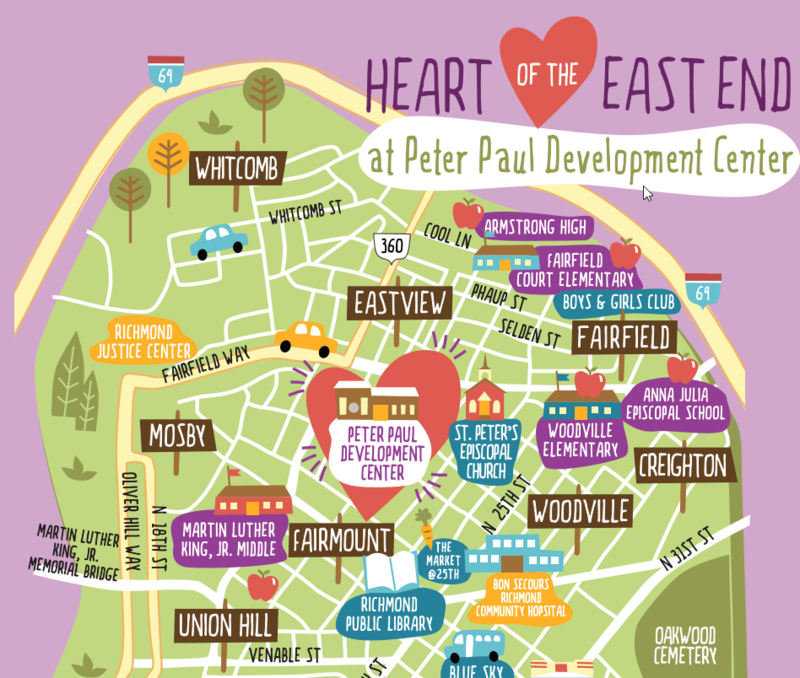 Join Peter Paul on Saturday, March 2, 2019 from 4:00 pm – 7:00 pm for Peter Paul’s annual Heart of the East End! Gather at 4:00 pm for great drinks, music, and food, and to learn about and support the unique experiences that change the lives of our children and families. The evening’s entertainment will feature Richmond’s Todd Waldo with special Peter Paul guests, live music from JTucker & The Krewe, and amazing food from The Roosevelt, Liberty Public House, Cupcakes by Chimere, Dutch & Co., Chef Pescado Catering, WPA Bakery, Proper Pie, and Sub Rosa Bakery! All event proceeds will support Peter Paul’s dynamic programming and purpose. Individual tickets are $50 each until Monday, February 11. Beginning February 11 tickets will increase to $60 each.